Located in the prestigious Damansara area and is part of a luxury integrated development by Guocoland. The five-star property will boast 312 exquisite rooms and suites, five restaurants and bars, an outdoor pool and signature So Spa and So Fit facilities. It will embody French luxury and embrace modern and opulent design. 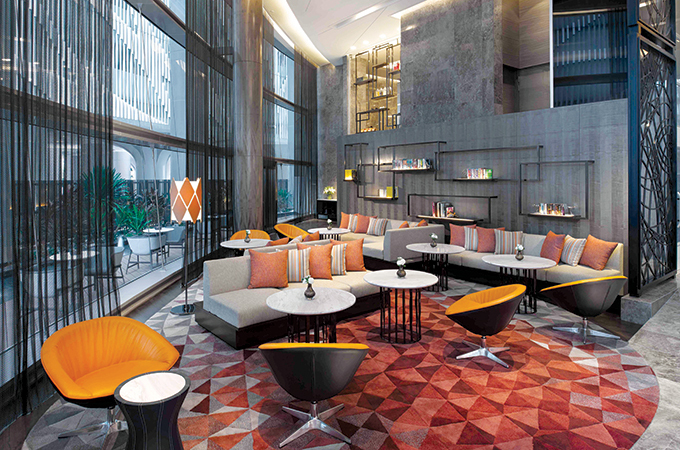 Sofitel Singapore City Centre will add 223 luxury rooms to Singapore’s vibrant hotel scene. The Sofitel is inspired by the rich botanic history of the city and will feature Singapore’s first Nespresso Lounge and TWC Tea Bar, a 30m outdoor swimming pool, and the green oasis of the Lawn where yoga classes and outdoor performances will take place. Boasting spectacular views over the Sydney CBD and harbour, Sofitel Sydney Darling Harbour will host 590 rooms and suites that blend stylish French aesthetics with ultra-contemporary design. Situated alongside the new International Convention Centre, this five-star property will feature a stunning infinity swimming pool, Sydney’s most spectacular Champagne bar, a Club Millesime executive lounge, several restaurants and bars and easy access to Sydney’s best attractions. Its 28-storey glass façade will be lit up at night, creating a new landmark in Sydney’s ‘favourite playground’ of Darling Harbour. Pullman Brisbane Airport will provide a perfect gateway to discover the surrounding areas of Queensland. Featuring 132 rooms and suites, a restaurant, bar, 24-hour reception and room service, massage services and gymnasium, this hotel is targeted at the business and leisure traveller and will provide guests the chance to experience an upscale airport hotel experience unlike anything else in the Brisbane Airport precinct. Sofitel Wellington will feature 129 guest rooms with panoramic views of the surrounding hillsides and Botanical Gardens when it relaunches in October 2017. The luxury boutique hotel is themed around the Wellington and Luxembourg Gardens and facilities include The Green Room which offers a relaxed and private atmosphere with a fire pit in a sheltered alfresco courtyard, rooms decorated in vintage gold and bronze tones and the Jardin Grill. With a prime location on Bolton Street in the centre of the capital, the Sofitel is the perfect luxury hideaway close to the city’s best entertainment and attractions. Located in the heart of the celebrated old city of Shenyang, the Pullman Shenyang Ginza will boast 317 contemporary rooms (including 50 long-stay suites), a conference centre for up to 1200 guests, a gym, spa, heated indoor pool and six restaurants and bars. Shenyang is a city rich in attractions including the Shenyang Imperial Palace, which is of great historic and artistic significance and is considered by many to be second only to the Forbidden Palace in Beijing in terms of buildings of historic and cultural significance in China.